This week I was in Miami for the Design Leadership Network Conference. I was invited to join this year and am so excited to be a part of this group of elite designers, architects and landscape designers. This year’s summit meeting explored leading trends and topics in design as well as taking in key design events such as Design Miami and Art Basel. I’ll share what I learned while at the conference in a later post, but today I wanted to explore some easy ‘tips’ for implementing design rules in your home. As I was thinking about my trip and how individuals become successful designers, I came across an article in Atlanta Homes & Lifestyles on well known designer, Stan Topol. 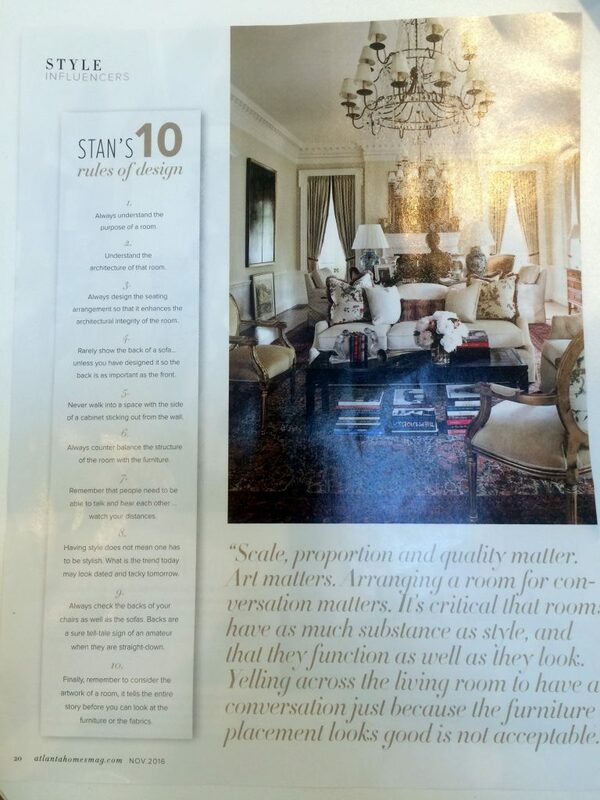 Since most my readers don’t subscribe to this magazine, I wanted to share a few of Stan’s “Rules of Design” as a starting point for incorporating good design in your home. Mr. Topol has spent many decades as in interior decorator, including working for Billy Baldwin in New York. So, if anyone has the credentials to know what works and what does not, he does! You may want to take in the view or have the best spot for watching TV, but if there is anyway around it, you do not want to walk into a room facing the back of the sofa. It is just not a welcoming feeling. 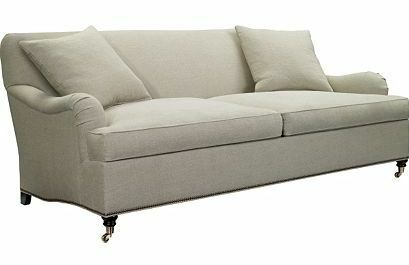 If this situation is unavoidable, try to add a console table behind the sofa so you see that as opposed to the sofa back. This is what we did in the photo below. The main entry hall is behind this sofa, so we did not want people walking in the front door and seeing the back of the sofa. Another option is to select a furniture piece with a great looking back. In this home, we had a similar situation with the front door behind this seating arrangement. 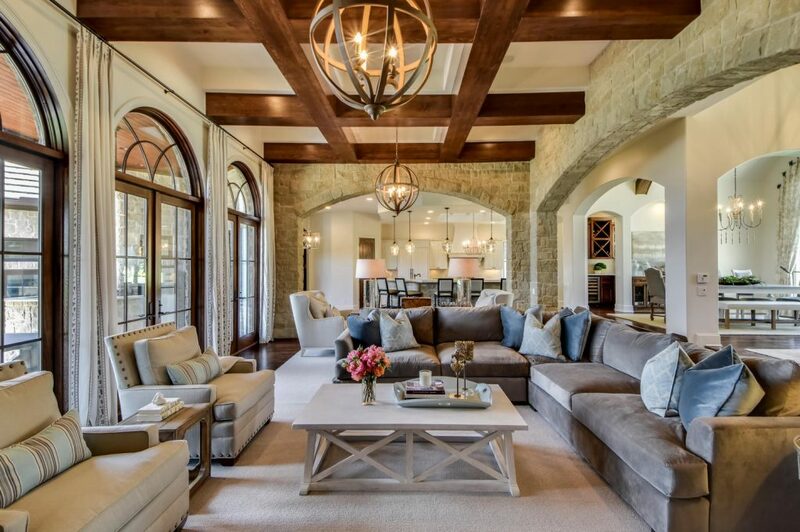 We put two sofas in an L configuration, but still had backs of chairs facing the front door. 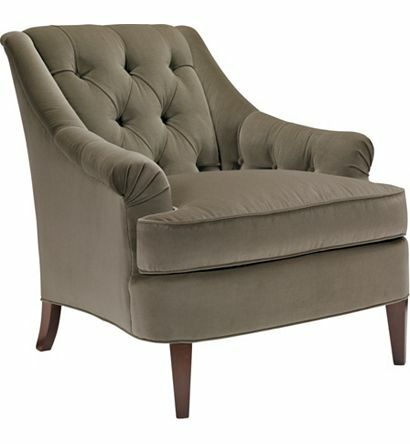 So, we specified a chair with a great looking back design. Always check the backs of your chairs and sofas. Backs are a tell-tale sign of an amateur if they go straight down. I learned this tip from Hickory Chair who constructs all their upholstery frames with what they call ‘convergence’. 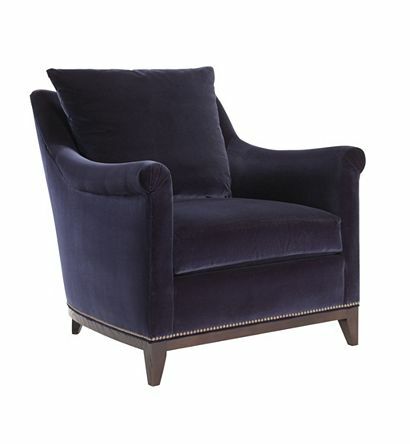 The arms flare out and the back leans away and it visually welcomes you to sit in the seat and be enveloped. 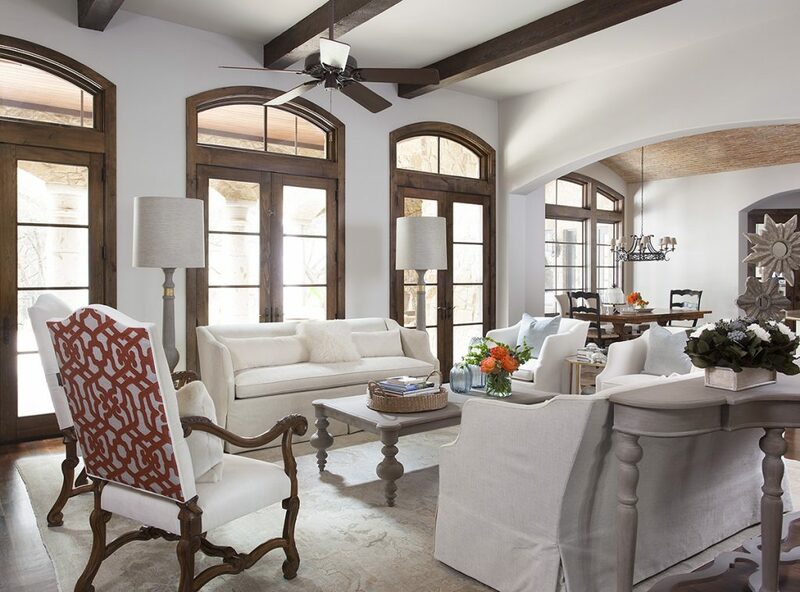 If you look closely at these two chairs and one sofa (all from Hickory Chair), they lean out. A subtle sign you would not pick up on if you walked in a room, but a sign of quality product with attention to design detail. Remember that people need to talk and hear each other…watch your distances. Many people do not have to deal with this issue, but if you live in a larger home, this can be a challenge. We sometimes find ourselves trying to find 60″x60″ cocktail tables just to fill the center space in big rooms. Then you end up 9 ft from the person on the chair opposite you. In a case like this, we like to break our rooms into seating groupings, so people can have more intimate conversations. We did that with this last project where the room was so long we added a separate reading space at the back of the room. Never walk into a space with the side of a cabinet sticking out from the wall. This is not always something a client wants to hear. Usually you are looking for this solution because you need more storage, so you compromise on space and feeling to meet that need. If you need to add or build in a cabinet, make sure it is recessed within the wall frames, as opposed to sticking out. Another area where this becomes a challenge is often in an entry area or hallway. A space needs ‘something’. Oftentimes the builder has framed out a ‘bump out’ area, but that might only be 8″ and all the sudden your console table is sticking out into the walkway. 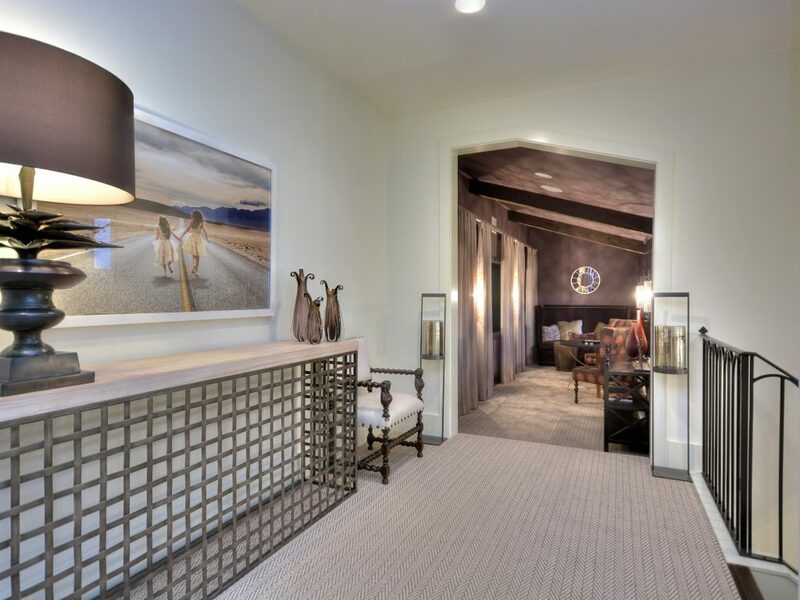 If you are lucky enough to be building your own home, aim for hallways that are 5ft deep so you can comfortably place a mud bench, sofa table or chest for additional storage. 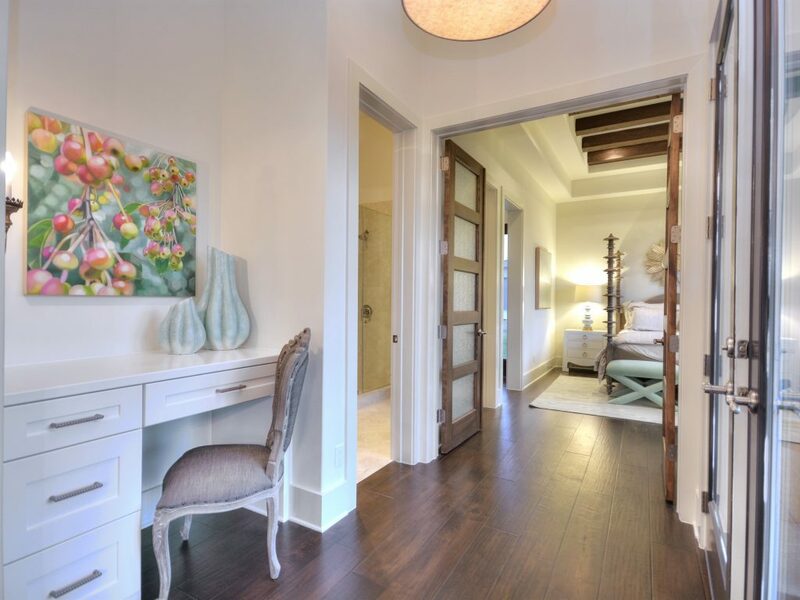 In this home, we measured the wall to the nook and made sure our furniture pieces stayed behind the door casing. Consider the artwork of a room. 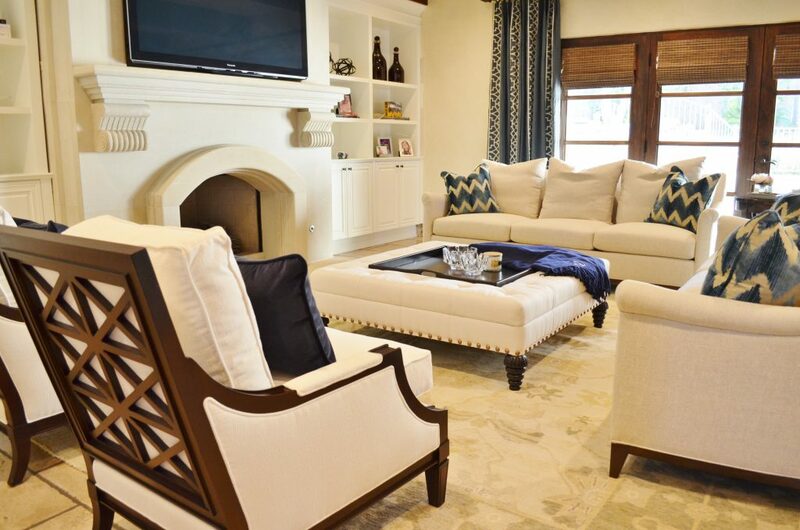 It tells the entire story before you can look at the furniture or fabrics. The majority of people add art last and do not consider it ‘important’, or at least significantly less important than the TV. 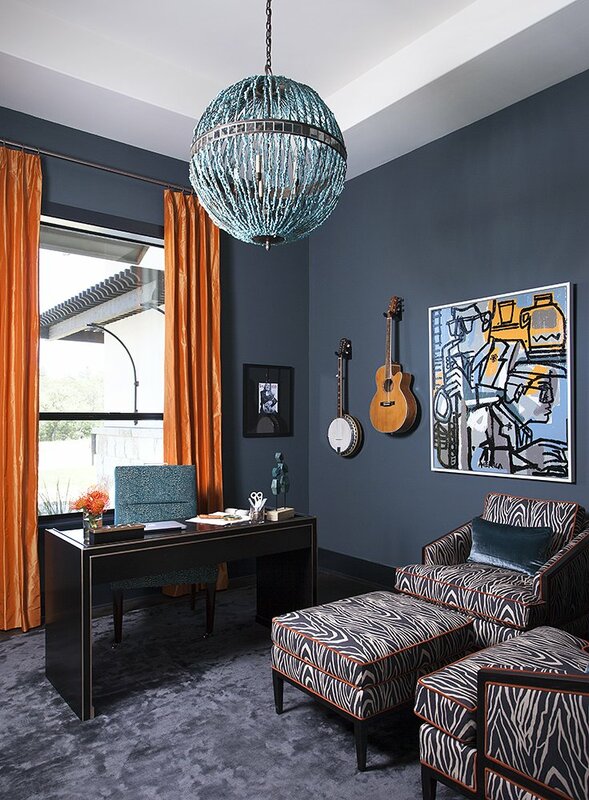 Art can create a vibe in a room that tells a story and provides interest. Do not discount the importance of the wall decor. I was a Fine Arts major in college, so I admit that my interest in art is more than most, but a wonderful piece of art can really pull a room together and take it from great looking to amazing. My advice: when planning a room design, set aside a nice part of the budget for unique artworks. So there you go. 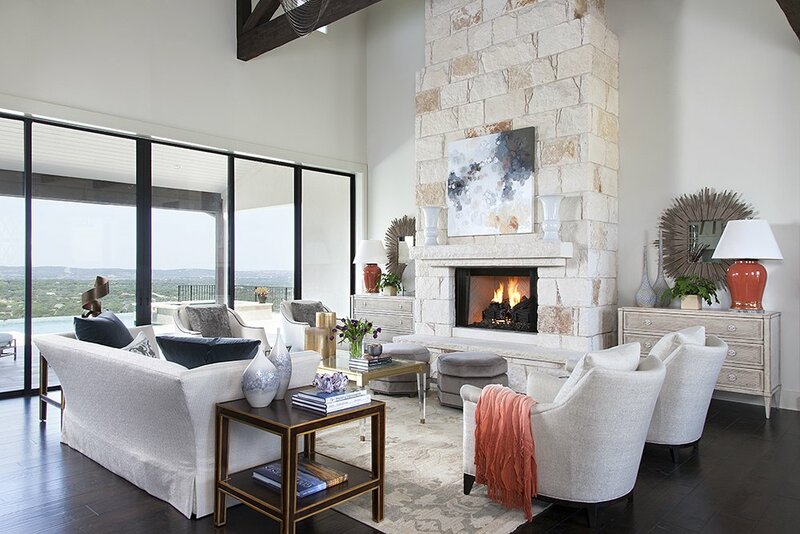 5 tips anyone can incorporate at anytime that will go a long way to making your home look put together and welcoming. More on the Miami trip after some holiday decorating posts over the next couple of weeks!